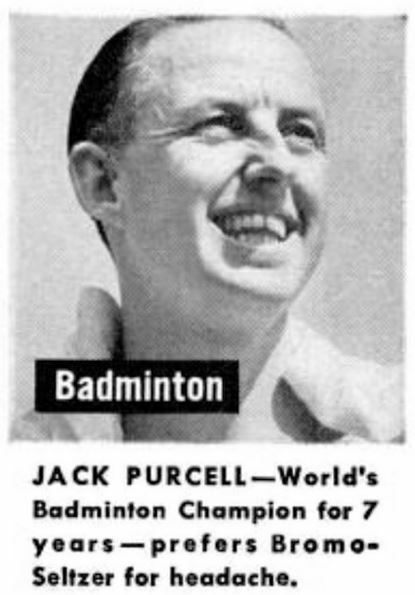 Jack knew a thing or two, like how to cope with a splitting headache after losing to a faculty member at badminton. So we’ll see you later this afternoon, for pizza, birdies, and goodbye to the Spring semester (and, yes, hello exams and essay-writing). Check the REL FB page’s Event for details. Oh, and by the way: BYO Bromo Seltzer. This entry was posted in Faculty Blog, Relevance of Humanities, Religion in Culture and tagged Badminton, Pizzapalooza by Russell McCutcheon. Bookmark the permalink.